Welcome to Johnson Honey Farm!! 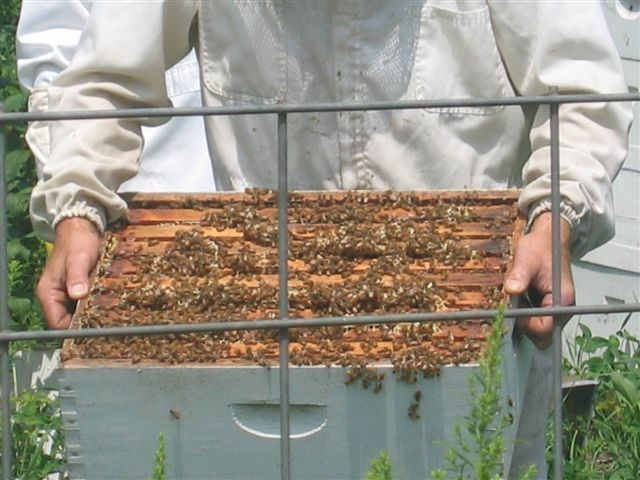 Started in 1993, we now have over 400 hives in 20 locations to produce wildflower and basswood honey. We are located in the heartland of the upper Midwest, just outside historic Guttenberg, Iowa and on the west bank of the mighty Mississippi River. This is corn, cattle and eagle country. The quiet, peacefulness of the river and bluffs make the region one of the most beautiful in the world. We became enthralled with the work of the honey bee about 1993 and started a few hives to produce honey for ourselves, friends and family and its grown from there. We have pure and comb honey in a variety of sizes and 18 flavors (and we're working on more) of our specialty - creamed honey. We can ship anywhere in the United States. 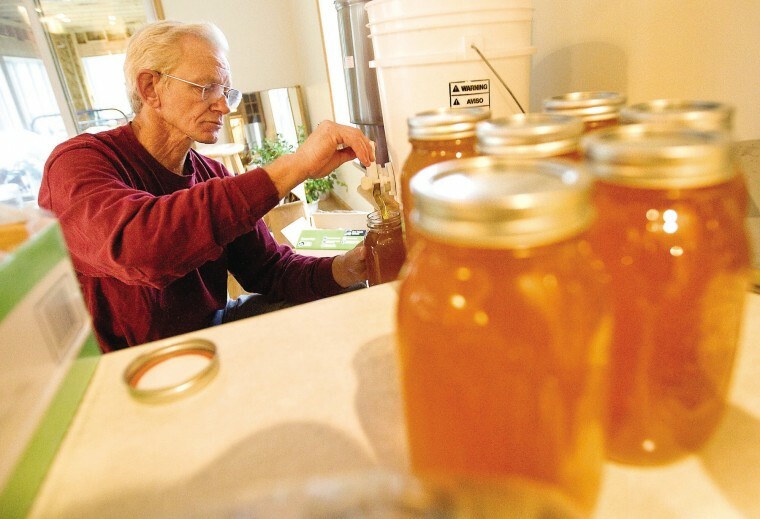 The variety and quality of our honey has been lauded by all. None of our customers buy honey anywhere else - one taste and they're hooked. Take a look at our products here....Pure Basswood Honey, Wildflower Honey, Comb Honey, honey sticks and our specialty Creamed Honey. You can order one jar or a variety of types and sizes...we can accommodate ALMOST any need. We also have a variety of products made with our honey or our beeswax - they make great gifts.....for you or for someone else special on your gift list. We have honey-filled candy, lip balms, soap, candles and beeswax blocks. Also, check out our Honey Recipes on the Tips and Recipes page, a host of amazing facts about honey and some of the links related to honey that we have compiled on our links page. We welcome comments, suggestions or your questions drop us an email at louisej@alpinecom.net. And one final point - we do gift baskets for all occasions; they make wonderful Thanksgiving and Christmas gifts. We'll pack it and ship to whatever address you wish with a card telling them its from you. You pay when its received ...just send a check. We're so sorry but we are not able to process credit cards at this time. And, please don't wait too long - we typically have a LOT of holiday baskets and we want to ensure we have plenty of time to prepare your gift so it arrives on time and in beautiful condition. Our preparation process and work areas are approved by the State of Iowa and we pride ourselves on our methodical and sanitizing practices. are our industrious honey bees!